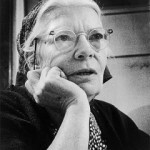 Dorothy Day (1897 – 1980) was an American author, social activist and devout Catholic follower of Jesus. She was a vocal force for social and economic equality based out of her faith and experience of God. She is responsible in large part for the movement that still exists today (even here in Oakland!) called The Catholic Worker. She writes a lot about alienation and existential angst in the modern age, which she calls the long loneliness. She asserts that only love can get us out of the long loneliness by opening our eyes to how much we need the love of God and others, as well as the reality that we need to be loved by God and others. She wrestles from the theological affirmation of Paul who says that “love overcomes all things” from 1 Corinthians 13:1-13. How are you motivated to love and be loved by God and by others? How has being loved by other people, opened you to the radical affirmation that we are infinitely loved by God? Who are you struggling to love these days…..someone else? an enemy? yourself? family? God? 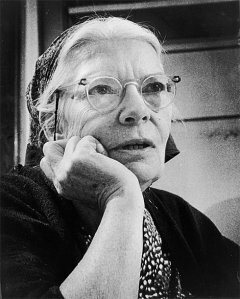 Some quotes from Dorothy Day’s writings in which she wrestles with the notion of love, service, solidarity and life. “Love casts out fear, but we have to get over the fear in order to get close enough to love them.